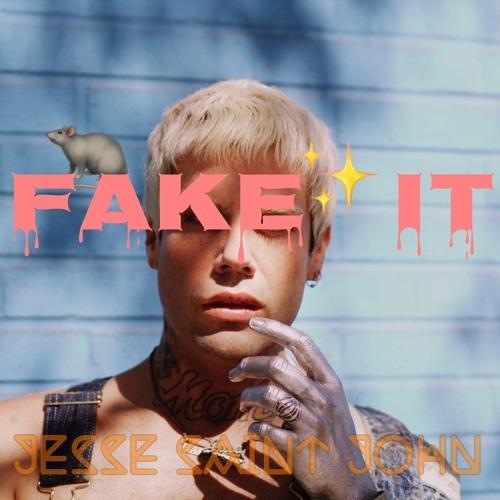 Home / brand new / brand new artist / Jesse Saint John / música / Jesse Saint John Unveils New Single "FAKE IT"
Jesse Saint John Unveils New Single "FAKE IT"
California native Jesse Saint John has just unveiled his brand new single FAKE IT and I'm loving it! If you're into dreamy, infectious synth-pop music reminiscent of acts such as Charli XCX than you'll love this pop gem. FAKE IT makes me want to dance and sing-along to it. From the very first listen I knew I had to share this summery pop track with you guys. Stream it below! FAKE IT continues the themes that I explore in my work of yearning for something more and searching for depth in a generation of shallow connections and instant gratification. Sonically, I'm super inspired by fusing pop and bloghaus. It's important to keep dancing while asking the tough universal questions. If you stop dancing life gets sad. Jesse is a talented hit songwriter having written for artists like Britney Spears, Camila Cabello and Charli XCX.